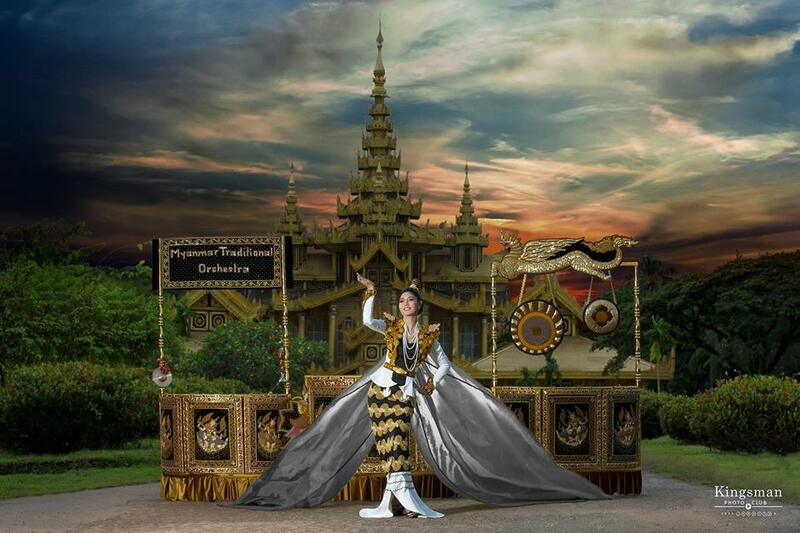 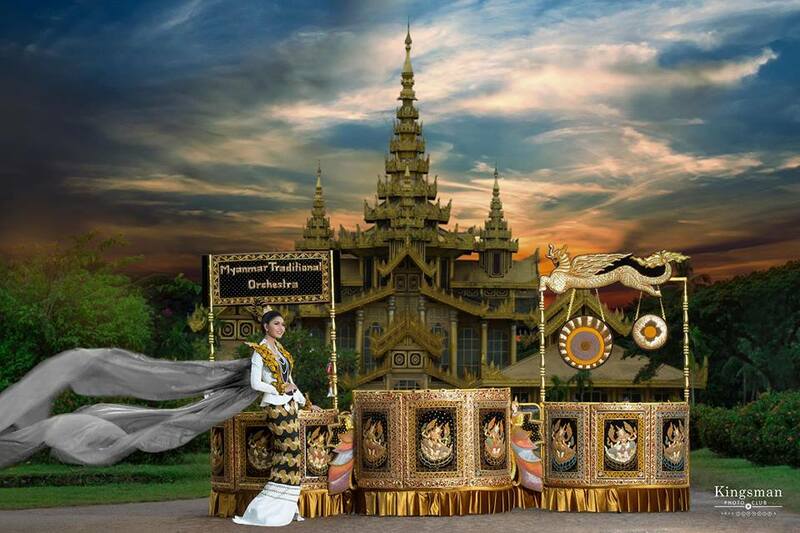 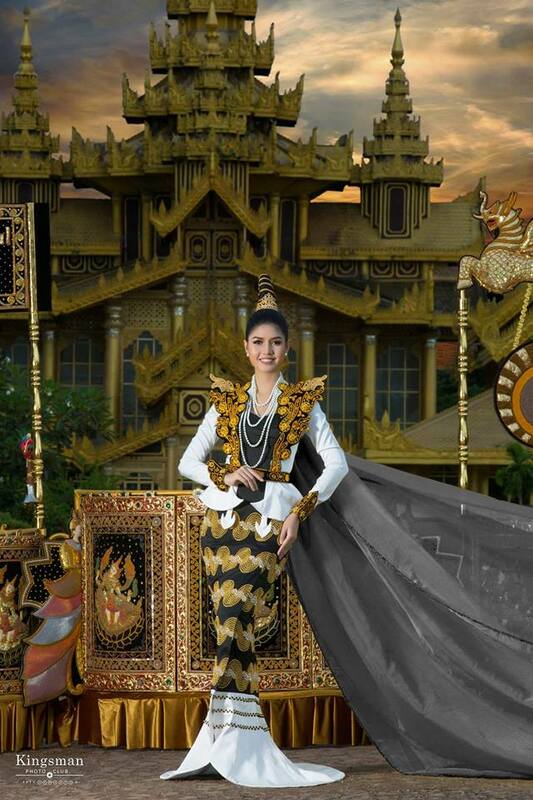 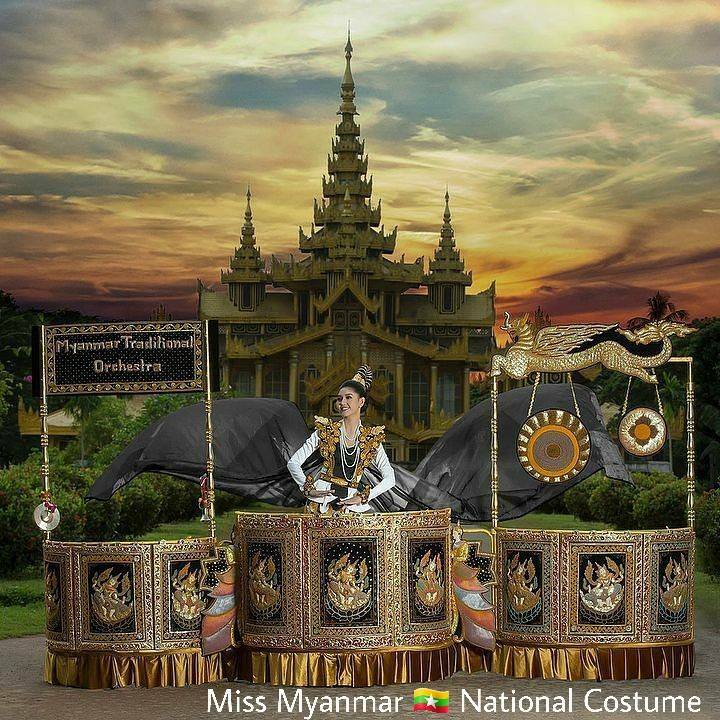 "HSAING WAING" | Miss Universe Myanmar 2017 Zun Than Sin's National Costume. 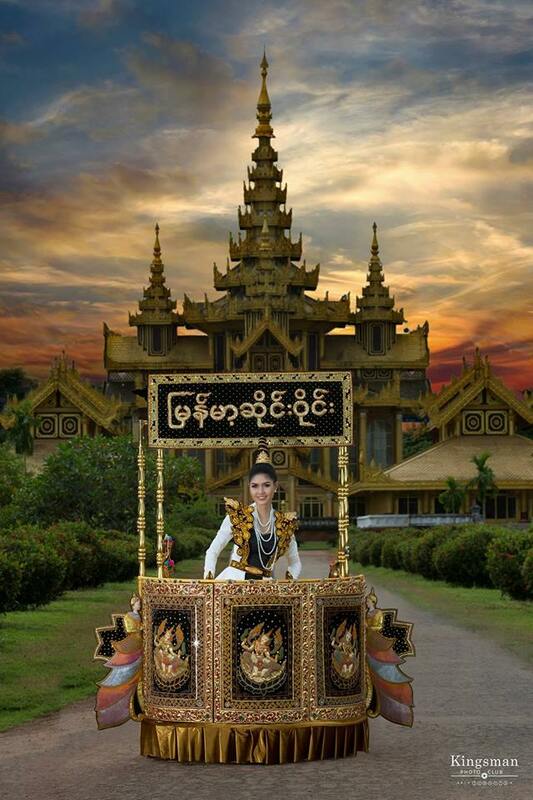 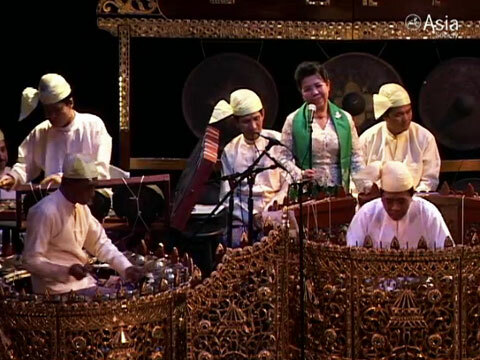 Hsaing Waing is a traditional Burmese folk musical ensemble, consisting of a number of different gongs and drums, as well as other instruments, depending on the nature of the performance. 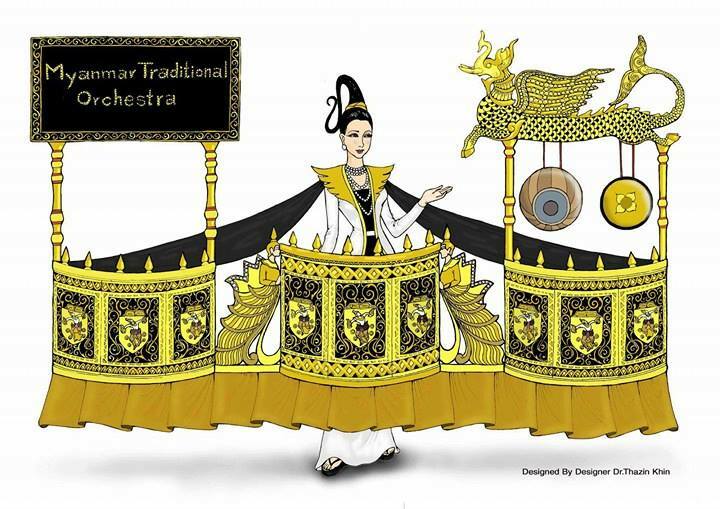 Music of the hsaing waing is characterized by its lively and sudden contrasts and shifts in rhythm, melody and tempo.